Possibly one of the best (and largest!) 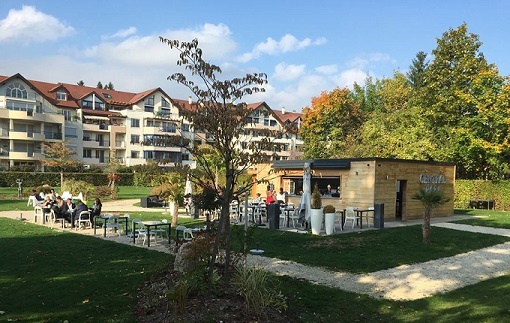 playgrounds outside Geneva, the Avenue de la Gare espace de jeux in Divonne-les-Bains is home to the Central Park café and beer garden. 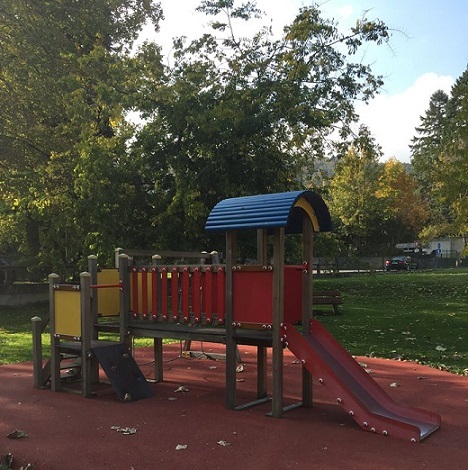 If you’ve yearned for a vast yet safely fenced in playground where the little tykes can burn off all their excess energy, while you sit down for a little breather — ideally with something chilled or steamy (of the cup variety) at hand, then this playground might be just what you’re looking for. 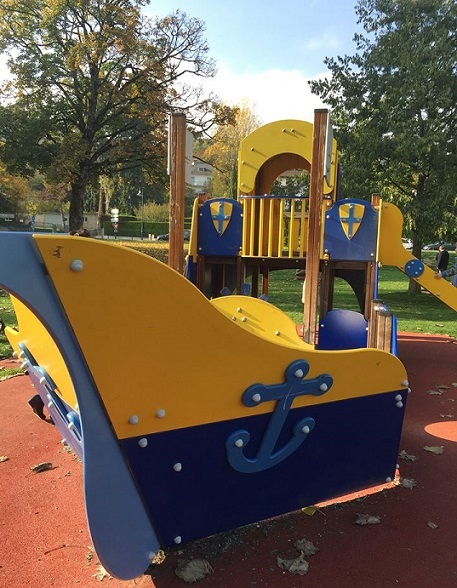 This superb playground, well-equipped with swings, climbing frames and even a wooden pirate ship, is great for kids of all ages, ranging from very young toddlers to pre-teens. 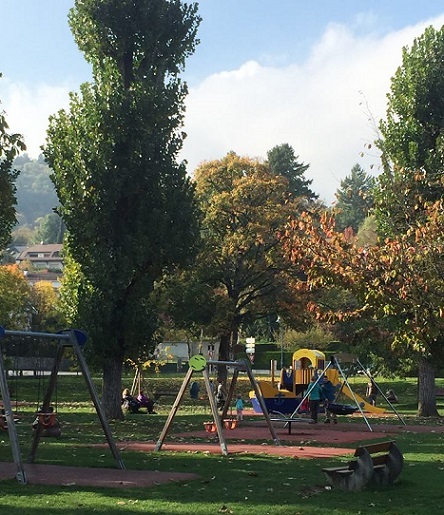 It is always full of young families enjoying a day-out and it’s only a short walk from Divonne’s town centre. 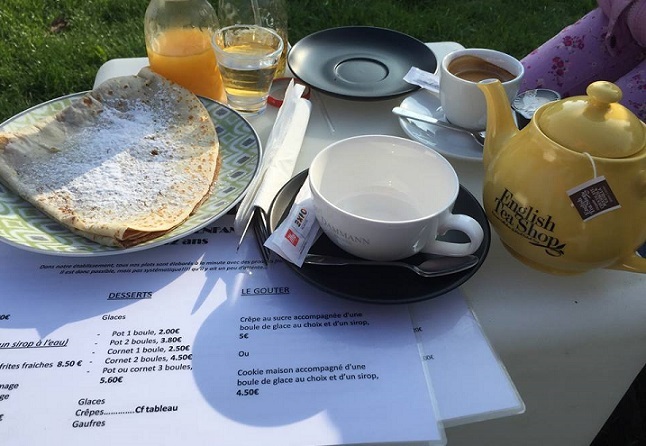 Why not pop over on a Sunday morning, before or after a little trip to Divonne’s marché du dimanche matin on the Grande Rue, place de l’église and rue du Mont-Blanc? 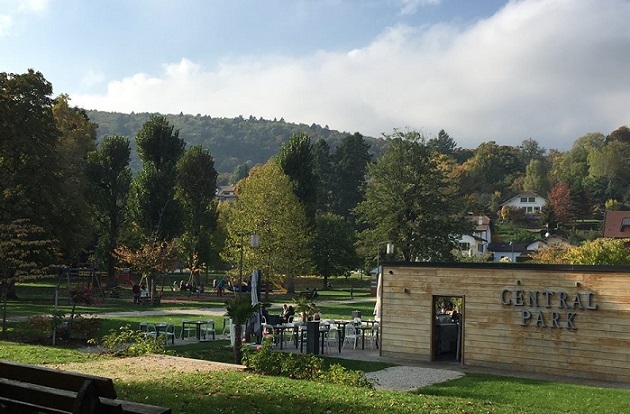 Listed on Tripadvisor as one of the top 10 restaurants in Divonne-les-Bains, the Central Park café and beer garden is not just a great spot for a quick lunch, apéro or afternoon snack (weather permitting as all seating is outdoors!) but also ideal to meet up with other families and friends while the kids run amok. 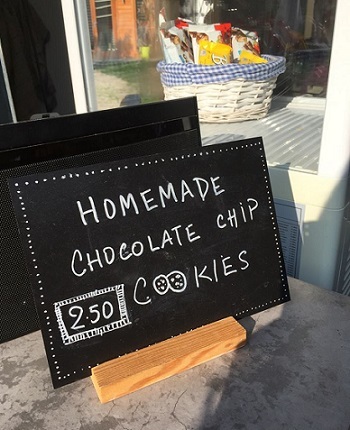 My 3 little terrors refuelled with the homemade crêpes, but you can choose from a list of savoury bagels, piadine, pasta, nuggets, ice-cream or homemade cookies. 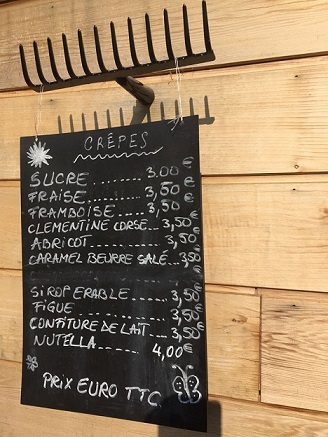 They also have a special goûter combos of crêpe, ice-cream and sirop for 5 euros; or homemade cookies, ice-cream and sirop for 4,5 euros. 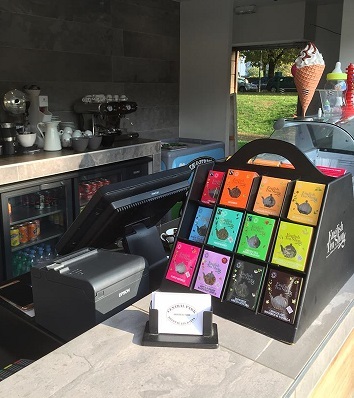 Take a look at their facebook page for more details and info about opening hours during the colder months. 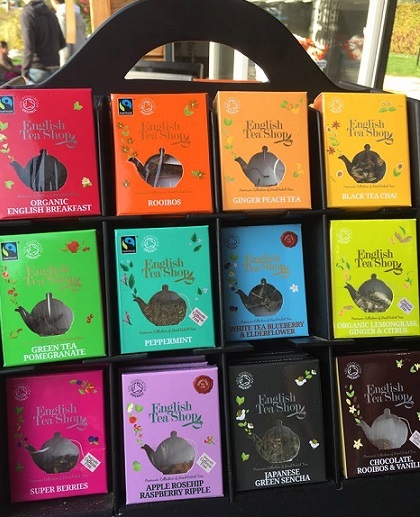 Hope you will enjoy it as much as we did!